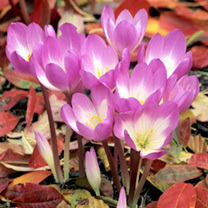 Enjoy a smattering of beautiful winter flowers in your garden, with our colchicums. You could see up to eight flowers from one bulb, and we love those pink double blooms. 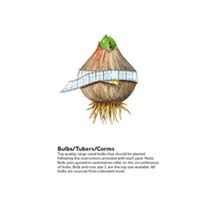 These bulbs will flowers from September – November, and you can create a pretty carpet of colour while your summer flowers sleep. If you fancy enjoying them inside too, grow some indoors. A lovely way to achieve some bright white blooms when the colours of summer are dormant, we love colchicums. One bulb can produce up to eight of those double blooms, and their dainty white shade adds a magical touch to your garden.